Indonesia, January 2016 - In honor of Chinese New Year, the annual celebration that marks the start of the year according to the Chinese Lunisolar calendar, Archipelago International, Indonesia's largest hotel management chain is inviting guests to indulge in a selection of exclusive offers and packages at a number of Aston Hotel destinations throughout Indonesia. At one of Medan’s leading international five star hotels, Grand Aston Medan in the heart of the city will be holding a “Year of the Monkey” dinner, held on 7th February 2016 at 6PM with special performances from Malaysian singer Anna Tong, a traditional Barongsai & ‘God of Wealth’ performance and a lucky draw. Tables for 10 persons start from IDR 6,888,888. For further information call 061 455 7000. Aston Priority Simatupang in Jakarta will be offering a stay package between the 4th & 8th February, starting from IDR 1,888,888 for a 2 night stay including daily breakfasts for 2 adults and 2 children. The package will also include a free dining voucher to the value of IDR 100,000, and guests can choose to join in on a Chinese New Year buffet dinner for IDR 180,000 on 8th February 2016. Call 021 7883 8777 for further information. Lung Hoa restaurant at Aston Kupang invites guests and family to join in on a Lunar Celebration on 8th February with a variety of dinner package starting from IDR 3.688.000 for 10 guests. Dinner will be joined by entertainment from a Chinese singer and a traditional Barongsai performance. For more information call 0380 8586333. Aston Pontianak will be offering its ‘Dji Sam Soe’ stay package between the 5th & 8th February starting from IDR 518.000 per night. 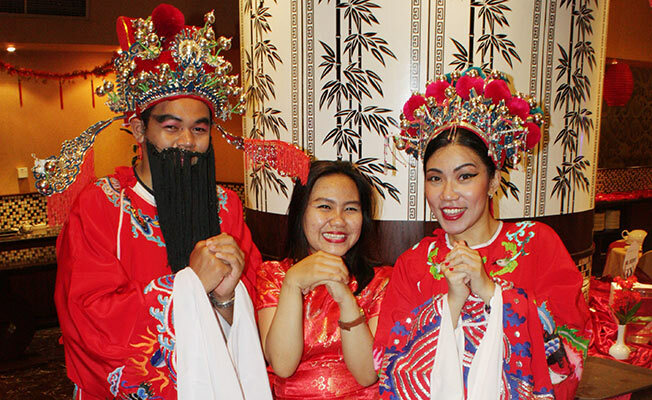 Guests will be welcomed with ‘Ang Pao’ upon arrival, and on 7th February a family set dinner will be held at the Dynasty Restaurant starting from IDR 1.700.000 per table, entertained by an ‘Er-Hu’ performance. Call 0561 761 118 for further information. Welcoming in the Year of the Monkey, Aston Samarinda in downtown East Kalimantan is offering a complete Chinese Dinner Set available for IDR 1.988.000 for 10 persons. The celebration will be accompanied by many special performances, such as Wushu, Barongsai, dancers, live music and lypsync, as well as an LED Glow Poi, the ‘God of Wealth’, a photo booth, door prizes, and a food parade. Contact 0541 732 600 for reservations and information. Chinese New Year always falls in the months of January or February, and each Chinese New Year is represented by 1 of the 12 creatures of the Chinese Zodiac. 2016 will be the year of the Monkey, officially celebrated on 8th February 2016. Archipelago International is Indonesia's largest hotel management chain with a portfolio of over 114 hotels and 15,000 rooms. As a continually expanding brand, Archipelago International has a development pipeline exceeding 100 properties in Indonesia, the Philippines, and Malaysia. Archipelago International core brands include: favehotel, NEO, Quest, Harper, Aston, Alana and Kamuela. Archipelago International’s properties range from ultra-luxurious villas with private pools to select-service, economy-class hotels to serviced-apartment residences, thus offering Indonesia’s largest and most comprehensive hospitality network.